On 20 January Google announced some fairly significant changes to the way you will be able to track videos on YouTube. The changes, intended to make YouTube better in a mobile, cross-screen world, according to Google’s Inside Adwords blog, mean that the legacy technologies of pixels and cookies will have limited usage across YouTube from now on, to make way for mobile-first solutions. The move is off the back of Google’s claim that over 50% of YouTube views now occur on a mobile and, while pixels and cookies still have a place in the world, with the changing consumption of YouTube, Google’s focus needs to shift to serving advertisers better campaign measurement and reach options. How will Google be achieving this shift of focus in today’s device-agnostic world? They are developing a new, cloud-based measurement solution that they claim to be at the cutting edge in both the delivery of advertiser insights and privacy and security. Google are extolling the virtues of their walled garden, and extending the use of logged-in data to the YouTube platform, allowing advertisers to be able to target users, based on Google profile data and search history. For Google, this seems to be very much about closing the loop, by allowing logged-in users to be targeted anywhere across the Google network, although the mention of Gmail data is conspicuously absent from the announcement. While Google stand firm on this change being developed with the consumer’s privacy and security front of mind, there’s no doubt those pushing the privacy agenda will have a few things to say about their personal data being used for yet another form of targeting across Google’s suite of products. But the main question on the lips of the advertiser will no doubt be: “What does that mean for my existing tracking?” By removing support for cookie and pixel tracking, and replacing it with their own, cloud-based measurement solution, Google have effectively announced that the days of third-party tracking and measurement on YouTube are over. Google shifting measurement from cookie-based to identity-based methods makes a lot of sense, as the world becomes increasingly mobile, and it ties with their more mature Customer Match product, building hashed audience matches from an email address. However, the cries and accusations from the industry, that this is Google reinforcing the walls on their already secure walled garden and making it even harder to manage YouTube as part of a wider video strategy, can already be heard in the distance. 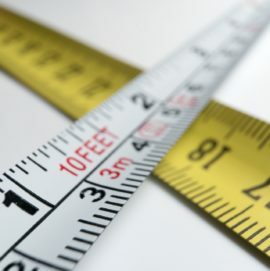 ExchangeWire speak to industry experts about their take on Google’s updates to YouTube measurement.